This August three hardy Kerseys employees will be taking on the National 3 Peaks Challenge in order to raise money for local charity, Woolverstone Wish. The challenge is to scale Ben Nevis (Scotland), Scafell Pike (England) and Snowdon (Wales) in a 24 hour period. 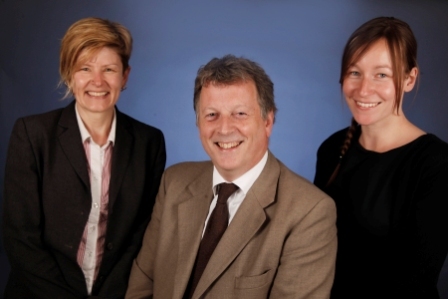 The Kerseys Team Members are Iain Thom and Alicia Wiles, (Commercial/Litigation) and Sharon Wragg (Residential Conveyancing). The reason for this madness is to help raise funds for Woolverstone Wish, a fund which has been set up to refurbish the chemotherapy outpatients and day unit in the Woolverstone Wing of the Ipswich Hospital www.woolverstonewish.org.uk. Kerseys have chosen to support the Woolverstone Wish over the last year due to a longstanding and much loved member of staff being diagnosed with Hodgkins Lymphoma in 2011 and undergoing extensive chemotherapy in the Woolverstone Wing of the Ipswich Hospital.